"You feel mighty free and easy comfortable on a raft." The sequel to 'The Adventures of Tom Sawyer' remains one of the greatest creations in American fiction. 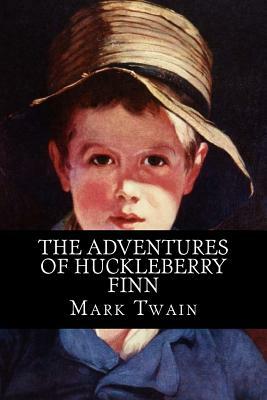 'Huckleberry Finn' is a picaresque tale, told in Huck's own voice, of his adventures on a raft on the Mississippi River. It begins with Huck's escape from his drunken, brutal father to the river, where he meets up with Jim, a runaway slave. The story of their journey downstream, with occasional forays into the society along the banks, is an American classic that captures the smells, rhythms, and sounds, the variety of dialects and the human activity of life on the great river. The novel is also a penetrating social commentary that reveals corruption and moral decay through Huck and Jim's encounters with traveling actors and con men, lynch mobs, thieves and southern gentility. Through Jim, and through his own observations and experiences, Huck learns about the dignity and worth of human life. "All modern American literature comes from one book by Mark Twain called 'Huckleberry Finn.' There was nothing before. There has been nothing as good since." - Ernest Hemingway.